Climate change will impact forest ecosystems, their biodiversity and the livelihoods they sustain. 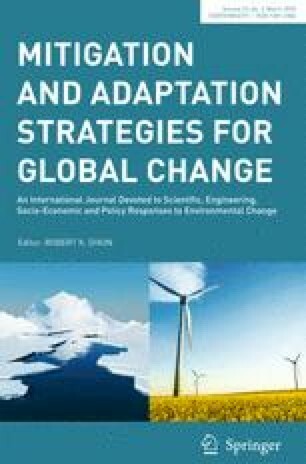 Several adaptation and mitigation strategies to counteract climate change impacts have been proposed for these ecosystems. However, effective implementation of such strategies requires a clear understanding of how climate change will influence the future distribution of forest ecosystems. This study uses maximum entropy modelling (MaxEnt) to predict environmentally suitable areas for cork oak (Quercus suber) woodlands, a socio-economically important forest ecosystem protected by the European Union Habitats Directive. Specifically, we use two climate change scenarios to predict changes in environmental suitability across the entire geographical range of the cork oak and in areas where stands were recently established. Up to 40 % of current environmentally suitable areas for cork oak may be lost by 2070, mainly in northern Africa and southern Iberian Peninsula. Almost 90 % of new cork oak stands are predicted to lose suitability by the end of the century, but future plantations can take advantage of increasing suitability in northern Iberian Peninsula and France. The predicted impacts cross-country borders, showing that a multinational strategy, will be required for cork oak woodland adaptation to climate change. Such a strategy must be regionally adjusted, featuring the protection of refugia sites in southern areas and stimulating sustainable forest management in areas that will keep long-term suitability. Afforestation efforts should also be promoted but must consider environmental suitability and land competition issues. The online version of this article (doi: 10.1007/s11027-017-9738-z) contains supplementary material, which is available to authorized users. Fundação para a Ciência e Tecnologia (FCT) supported R. A. Correia through a PhD grant (SFRH/BD/66150/2009) and M. N. Bugalho through principal investigator contract (IF/01171/2014). We are thankful to Robert K. Dixon, Richard J. Ladle and four anonymous referees, whose comments helped to improve the initial version of the manuscript.